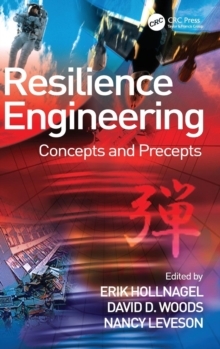 For Resilience Engineering, 'failure' is the result of the adaptations necessary to cope with the complexity of the real world, rather than a breakdown or malfunction. The performance of individuals and organizations must continually adjust to current conditions and, because resources and time are finite, such adjustments are always approximate. 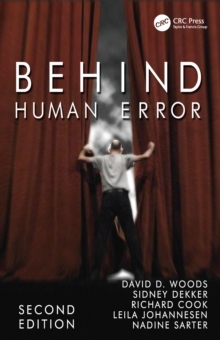 This definitive new book explores this groundbreaking new development in safety and risk management, where 'success' is based on the ability of organizations, groups and individuals to anticipate the changing shape of risk before failures and harm occur. Featuring contributions from many of the worlds leading figures in the fields of human factors and safety, Resilience Engineering provides thought-provoking insights into system safety as an aggregate of its various components, subsystems, software, organizations, human behaviours, and the way in which they interact. 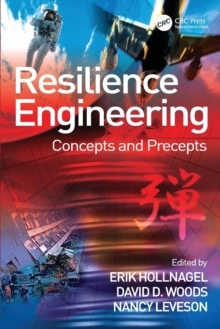 The book provides an introduction to Resilience Engineering of systems, covering both the theoretical and practical aspects. 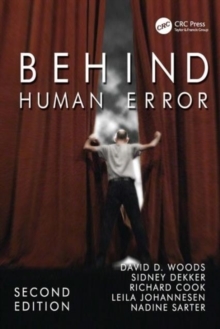 It is written for those responsible for system safety on managerial or operational levels alike, including safety managers and engineers (line and maintenance), security experts, risk and safety consultants, human factors professionals and accident investigators.